Nuala Woulfe Beauty: Introducing SkinCeutical Micropeel. The SkinCeuticals Micro Peel 20 or 30 is a three-step clinical procedure combining exfoliation, chemical peel solution using 20% or 30% glycolic acid, and a Vitamin C firming masque, to reduce the appearance of fine lines and wrinkles, hyper pigmentation, laxity, dullness, and skin imperfections. For optimal results, 2 series of 4-6 treatments per year are recommended. What does the Micro peel accomplish? What is the time frame for a corrective program? 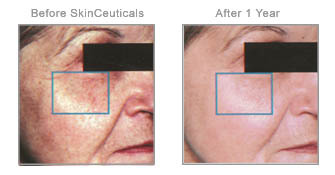 • Clients should return every 2 weeks for a Micro peel during the corrective stage of their program. • Sensitive skin patients should return every 3-4 weeks, and darker skin patients should return every 4 weeks. • 4-6 clinical procedures are required to obtain desired and realistic results. • Once desired results are achieved, clinical maintenance is recommended every 1-2 months with acid-free clinical procedures or treatments. • To obtain optimal results, you must be on an integrated skincare program that includes a customised home-care program, clinical procedures, and professional treatments. €100 per peel- pay for 5 received the 6th for free.